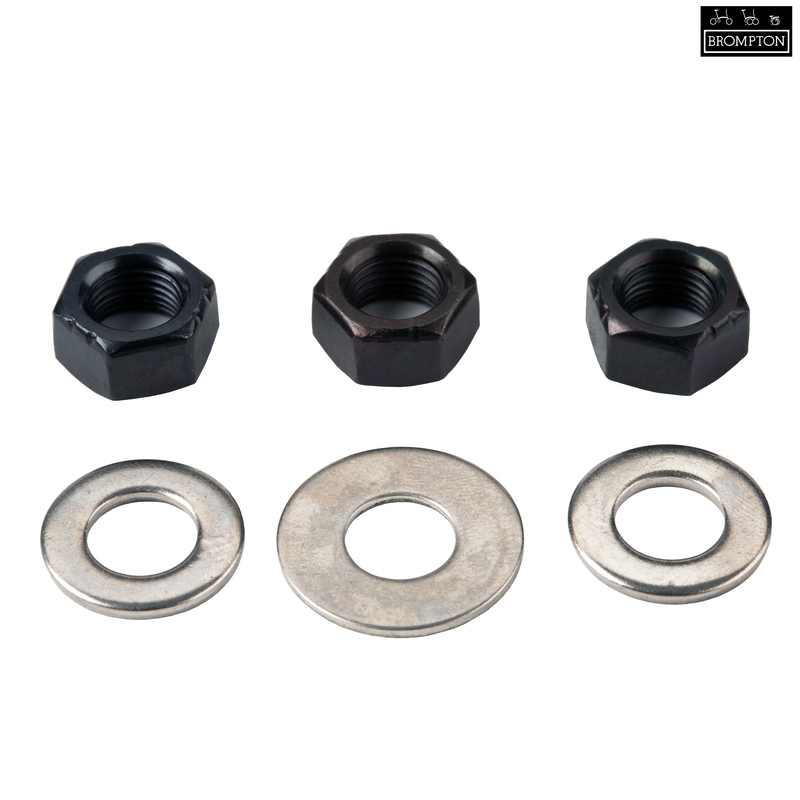 Replacement nuts and washers for Brompton's freewheel hub found on 1 and 2 spd Brompton bikes. Estas tuercas sirven para apretar cualquier rueda trasera? These are suitable for Brompton 1 or 2 speed rear wheels. Are these included with a new 2 sp wheel? What sprocket and tensioner need i buy? Yes these are included, you will need SJS Cycles part number : 3020 for a 1 or 3 speed bike.